I am not a resident of Delray Beach but I was visiting there with family in June of this year. During my stay, I was honored to receive a gift for a wonderful full body massage at Bella Reina Spa. I must say, I have never received such a wonderful and relaxing massage as I did at Bella Reina. From the moment I walked in the door I was impressed with the staff, the warmth of this spa, and the professional service I received. I will definitely make a appointment to return here on my next visit to Florida. In love with this spa. Received a gift card to Bella Reina Spa and it is one of the best gifts I have ever received. Lovely spot; clean; comfortable. Truly the best facial, with Carla, I have ever had. Can't wait to go again! I forgot to do a review here. My mom and I had a bad experience with this place back in 2009. My mom is a professional esthectichian since 1999. She worked for people with good names and reputations in PR. For Magali Febles Salón in Guaynabo PR. My mom owned her own spa and when she came to visit me in 2009 she said I want to stay here but I want to work for someone first, and that's why l encourage her to send a resume to this place Bella Reina Spa. First she called and spoke with someone on the phone and told her to bring a resume. I brought my mom there and I waited outside. She was all exited when she got in there. All radiant, elegant, with a smile on her face. But when she came back to the car, her face was TOTALLY different, like someone in there humiliated her. She didn't talk about it, she was quite and I insisted to speak about it. But she said that nothing happened in there. I know my mom I know here more than anybody else. After all these years she haven't told me what happened in that spa. I wish I could turn back the time, to go in there and do something. I know someone in there needed a punch in the face.I think the wonderful reviews I read here, are the same owners or friends that are posting it. I don't think this place is good at all. The staff is very knowledgeable about all of their products. Great mani, pedi, massage, facial, and more! The place is very warm and welcoming. My daughter gave me a gift card for my birthday and the spa was amazing! I had the facial and the massage. Ended up buying lots of anti-aging products too. My skin has never looked better! I live in MA but whenever I come back to visit my daughter, I will be coming to this spa!! The Spa is amazing! Loved my facial and massage I received as a gift from a friend.They have high level knowledge of skin care and aging. Very professional and a warm and friendly atmosphere. Such a wonderful place. Close and cozy but filled with character and excellent service. Definitely going again. It was my first time at Bella Reina Spa and I will definitely be back. I went for a make up application to attend a wedding and the make up artist did an excellent job. My husband had a massage and is already looking forward to getting another one when we return later this month. In fact I'm booking massages for the whole family!! Love Bella Reina. Nancy and team are always on top of the latest, greatest new products from toxic-free nail polish that dries in a minute to incredible new nanno technology facials. And an amazing staff delivering the services. I always have had a wonderful, relaxing experience at Bella Reina. The service is professional and the technicians are warm and friendly. Always a friendly & pleasant atmosphere. I regularly get a pedicure & shellac manacure. Have purchased several products and been pleased. Keep up the good work ladies! I had a delightful experience. The staff was talented and responded to my needs in a careful and knowledgeable way. The room was spotless and the massage table was heated. I felt well cared for and recommend Bella Raina Spa! I have been in Delray Beach for almost 3 months. I received a gift card to Bella Reina Spa and not only did I use them for myself, I also introduced family and friends to Bella Reina. All of us were so impressed with the friendly atmosphere and expertise that we received. Our combined services were facials and masssages. First rate in all aspects! I have been coming to Bella Reina for many years. I have traveled all over the world and have never found a place like this. All the products used are a 10+ and staff are professional, extremely knowledgeable and just nice to be around. They really make it a pleasant experience. In addition, I am really particular about the procedures used to clean the stations and the tools used. Each person is presented with absolutely sterilized tools and files. It's amazing and really makes me feel really comfortable about having any service done there. My favorite is the green tea pedicure. Try it...it's a slice of heaven!!! My daughter loved her facial! The staff is very friendly and knowledgeable. Definitely would recommend this place. I had the most amazing experience at Bella Reina. I would most definitely recommend to my family and friends to make an appointment and enjoy the atmosphere and the amazing staff. Debbie was great! Thought the sugar scrub was going to be a little different though and the atmosphere was more a nail salon than spa. Paula is an excellent nail tech. I have just recently been going to her. You won’t be disappointed. The spa is very inviting, clean and the decor is fun! Jessica was fantastic! She was gentle and truly customized my facial to what my skin needed. I will be a regular client! I"m new to the area and booked a pedicure based on glowing reviews describing relaxing and attentive experiences. The reviews are accurate. I had an all round enjoyable, break from my hectic work schedule. I am a regular at Bella Reina and can’t say enough great things about Nancy and her team. They do a wonderful job, treat their clients well, and work hard to create a relaxing, welcoming environment for their guests. I was referred to Bella Reina three years ago, and haven’t gone anywhere else for nails & skin treatment. Very professional, forward thinking, and excellent results. I got my eyebrows waxed here. I really liked how clean the place was and how friendly the people were. The technician (Maryliz by the way, would totally recommend her!) really took care to ensure everything was right and even with my brows and even answered questions about my brow growth as I have been trying to restore their growth after some loss. I actually called in earlier that day to ask if I would need another brow service they offer that costs more money, but the lady on call told me to just come in for a simple wax and if NEEDED we will do the more expensive service. I was happy they didn't try to upsell me or anything but instead just wanted to make sure I was satisfied without spending to much. Would definitely recommend this place! Bella Reina has a friendly and relaxing atmosphere. Their pedicures are top notch and the staff is welcoming and helpful! The best in the area! The natural nail polish is the most impressive manicure I've ever had---I'm able to keep my manicure in prime state and it lasts for weeks! And it doesn't hurt to take off (like gel polish). This and a Green Tea pedicure (OH WOW! What an experience) are the only services I've gotten so far, but TRUST ME--i'll be back for more! I can't wait for my body treatment!! Well done, Nancy. I have been going for 6 months now for my sensitive skin and found my angel! Stacey is the best at what she does. Extremely knowledgeable, and very caring. My skin is the best it's been in years. The staff and ambience is superb as well! Every time I’ve come here I always leave satisfied. They are so good at what they do! If you can, book with Nancy! I would definitely recommend Bella Reina! I went in for a facial and a massage - I arrived a bit early and they were all ready for me so I was able to go back and get started early. Everyone was very friendly, the spa itself is very cute and extremely clean! I even received a thank you note from Janine. I will definitely be back! I have been getting monthly pedicures here for years. Great location! Small cozy spa with a fabulous staff! *ASK FOR BRANDY and JESS!!!! I contacted Bella Reina Spa on short notice yesterday to get a massage for a headache I was not able to get rid of. They were able to accommodate me yesterday afternoon for both a massage and a facial. The Spa is absolutely beautiful and all of the ladies were so sweet and welcoming. I got a facial from Jess, she was knowledgeable and so willing to share how to help my blemished skin. My facial was relaxing and refreshing and she even gave me product recommendations. This morning I woke up and to my surprise my skin is clear!!! My massage was done by Brandy, it was the most AMAZING massage I have ever had! I have chronic shoulder pain and she used techniques I’ve never had done and my shoulders are loving her work! If you need a massage definitely ask for Brandy she is top notch! We had here an amazing experience, I didn't get a great massage for a long time! They surprised me. This will be my only place to get a massage. Thanks! Stacy is wonderful. Very pleasant experience. I will be back. I’ve been a loyal patron of Bella Reina for over 5 years. It is a cozy boutique that consistently delivers luxurious spa treatments. Their facials are my favorite. I leave the spa looking refreshed. It’s like a instant vacation for your skin. Receiving Bella Reina gift cards are some of my favorite gifts. Relaxing atmosphere. Great products. Best pedicure ever. Paula was my technician. Wonderful dermaplaning experience. Truly exceptional! The treatments they add to the basic dermaplaning makes this a true facial treatment. 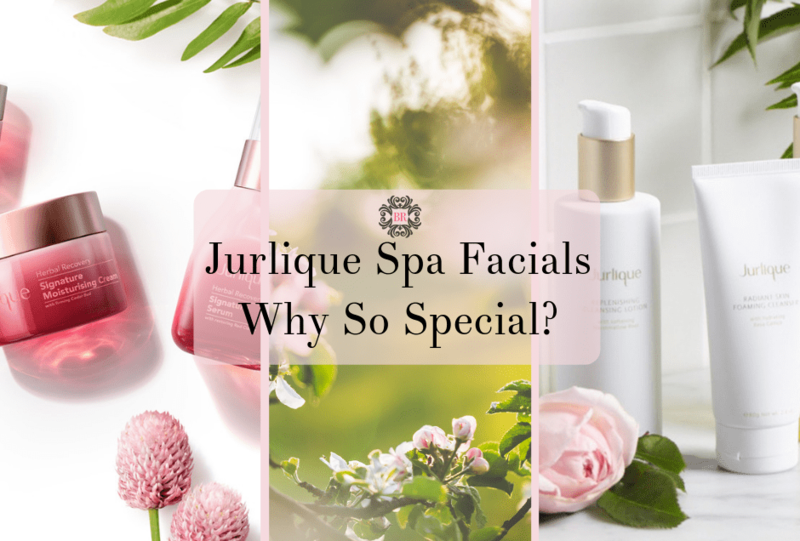 Cute and clean spa and shop with true professionals! I highly recommend Bella Reina! Best waxing ever! And live my pedicure from a week ago. Still looks great. I wish I could give a zero star. Nasty owner, all the good reviews you read is because they ask for good reviews and give a discount as an exchange. The owner is rude and look down at you. I feel sorry for the employees that work there. If you are looking to a place to relax and have good service, run away from the mediocre spa. Sign up for $5 Spa Dollars and a Bella Reina Organic Lip Shimmer. Enter your email to activate your offer. Serving our Delray Beach Spa guests from Palm Beach, Gulfstream, Ocean Ridge, Manalapan, Boca Raton, Wellington, Highland Beach, Boynton Beach, Lake Worth and South Florida.